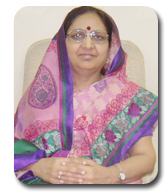 SMT.PADMABAI KAPURCHANDJI KOTECHA MAHILA MAHAVIDYALAYA, BHUSAWAL. Bhusawal is a place in North Maharashtra knows for second most big Railway Junction in India. This city is located on the bank of pious Tapi river which is also known as ‘Suryakanya’ in khandesh region. It is also known for banana production and it’s export to many foreign countries. It is situated at New Delhi-Bhopal-Mumbai Railway line about 420 KM before Mumbai. It is well connected from all major cities of Chennai, New Delhi, J and K, Tiruannathpuram, Banglore etc by trains. The nearest airport is Aurangabad about 150 km from Bhusawal. The well known world heritage Ajanta and Ellora coves are close to Bhusawal. Ajanta caves are 150 KM from Bhusawal. The Ghrineshwar shivling (one of the twelve shivling)is also close to Ellora caves. However Sai-Shirdi is about to 275 KM to it’s west and Gajanan Maharaj Shegaon is about 120 KM to it’s east. Bhusawal is unique blend of old and modern civilization is a city of about 1,00,000 population.It is fast growing, multi-cultural, cosmo-politin city. Providing Quality Higher Education to the women to equip them with modern views and knowledge along with social commitment and to bring them to the main stream for building better Society and stronger Nation. Enrichment of Women through Quality Higher Education for better Society and stronger Nation. To impart quality higher education to the women. To bring the women to the main stream of the society. To develop social values and sense of commitment among the students. 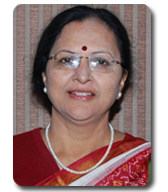 To provide better opportunities to the women for education and career development. To improve the Role and involvement of women in building better society and stronger Nation. To motivate the students to use technology.